For residents of Bawa Mohtara village in Bemetara district of Chhattisgarh, a 130-year-old crocodile fondly named 'Gangaram', was next to God. For this reason, when the animal died, the entire village assembled to bid an emotional adieu to the crocodile whom they used to worship as their protector. 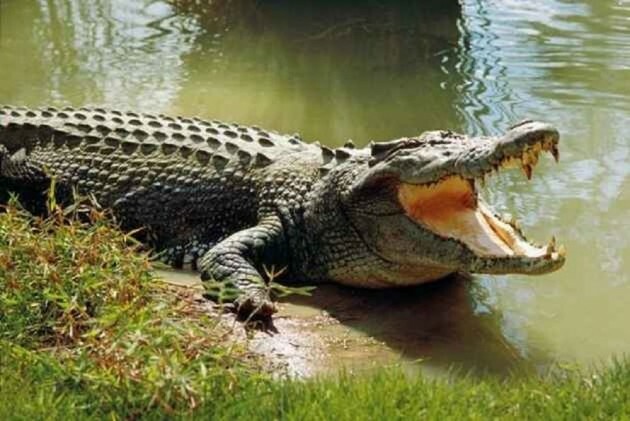 The 3.4 metre-long crocodile was found dead on Tuesday in the village pond, located around 80 km from here, following which locals informed the forest department and the carcass was taken out of water, he said. "The villagers had so much affection for the reptile that many of them did not even cook food the day it died. Locals had long back named it 'Gangaram'. They used to worship it as a deity and the protector of the village," he said. "In the past, the crocodile had crawled over to some nearby villagesa couple of times and we had to bring it back to the pond," the sarpanch said. "After getting information about its death, the forest personnel went there and a post-mortem was conducted by veterinarians," he said. The animal, estimated to be around 130 years' old and weighing about 250 kg, died of natural causes, Sinha said.